We’ve reached the point where everything under the sun must be “smart” or have Bluetooth or connect with an app. Sometimes these features seem pointless, sometimes they are just straight laughable (smart egg carton, really?). But other times the tech components are actually pretty cool. Here are some of the best toys of 2018 that use technology to really enhance the play and learning experience. Kano is known for making some of best STEM toys available today, the most popular being their Kano Computer Kit ($250). So when my 6 year old started asking about some “real Harry Potter wand” he wanted, and I found out it was made by this brand, I got really excited! 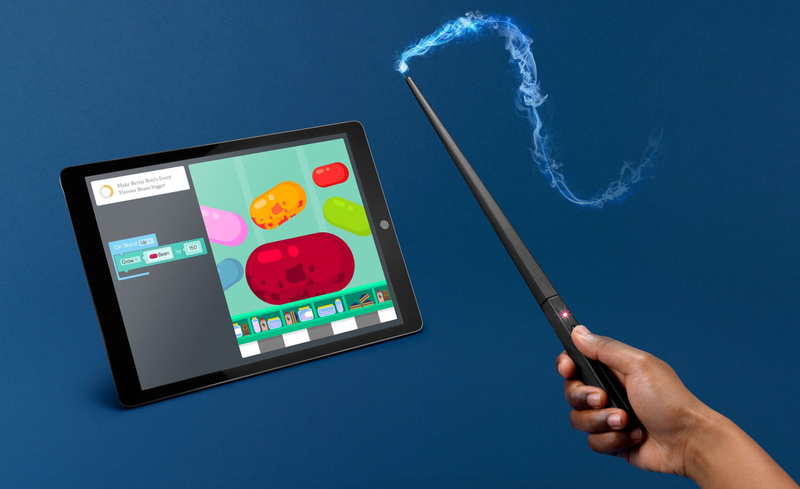 The Kano Harry Potter Wand Coding Kit is basically a wand that kids can program to respond to their movements, and make stuff happen on a tablet or computer screen. There’s a lot of Harry Potter stuff out right now (it was the 20th anniversary this year! ), but this toy looks like it really got it right. So far it has almost perfect reviews on Amazon (4.8/5 stars); “Magical meets educational!” says one. 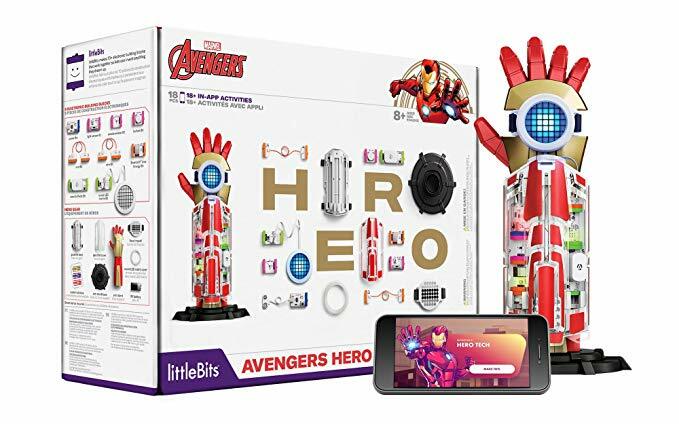 Building off the success of their popular Star Wars Droid Inventor’s Kit from last season, littlebits has released the new littleBits Marvel Avengers Hero Inventor Kit, and it looks pretty cool. Kids can build and customize an interactive electronic super hero gauntlet, then use the free app to “train” with it. If you’re more Star Wars than superheroes, the Droid Inventor’s Kit mentioned above has dropped in price (currently $70 at Amazon) and continues to get great reviews. There are about a million robot toys to choose from right now, and the quality seems to be all over the place. The Boxer Interactive A.I. Robot makes the list because he (she?) 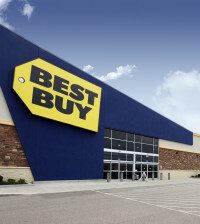 is priced right, isn’t overly complicated, and is getting super solid reviews. There’s no programming component on this one, but Boxer boasts “personality and emotions”, and comes with 10 activity cards that allow you to play games like bot bowling, paddle bot or go kart. There’s also a free app that unlocks additional games. 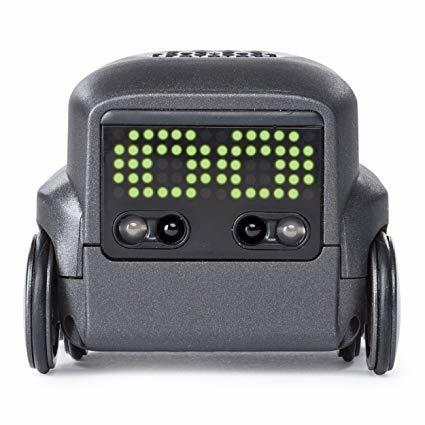 For younger kids who aren’t quite ready to build or code their own bot, this one looks like it’s a lot of fun to play with right out of the box. 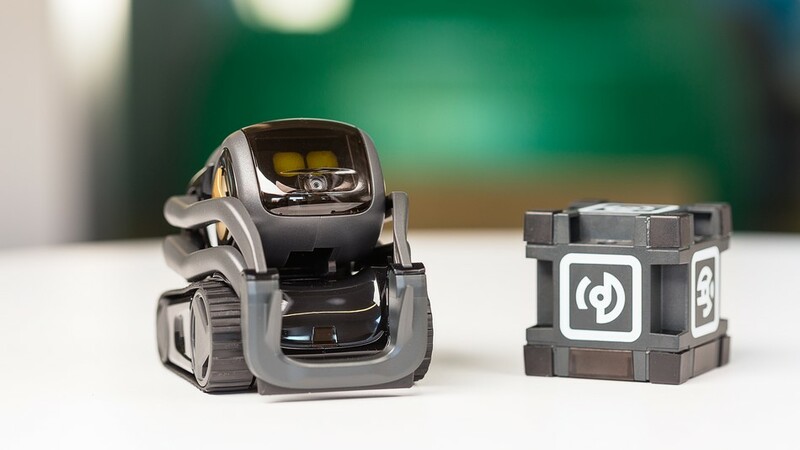 On the not so cheap end of the robot toy spectrum is the new Anki Vector Voice-Controlled Robot, which raised an astonishing $1.8 million on Kickstarter last year. Billed as “a robot sidekick for your home,” it’s part smart home device, part adorable tiny bot. It can answer questions, take photos, set timers, give you a weather report, and navigates and self-charges independently. While reviews are saying Vector hasn’t quite brought The Jetsons to life, yet, it looks like a lot of fun for adults and kids alike. You may be reading this thinking, “wait, what? 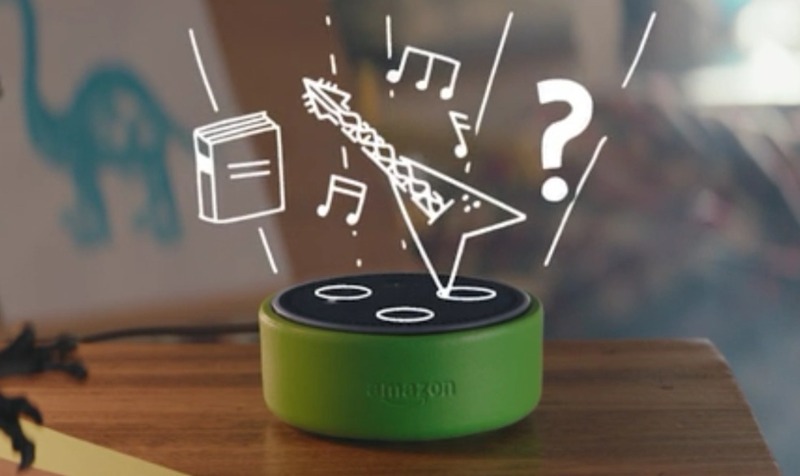 Why does a kid need a smart speaker?” And I kind of thought the same thing until I read more about the new Amazon Echo Dot Kids Edition. The kids’ edition basically does all the same things as the regular Amazon Echo Dot, but the special thing worth mentioning here is that it comes with a year of Amazon’s FreeTime Unlimited service. FreeTime gives your kids access to tons of apps and games, kid-friendly radio stations, Alexa Skills lessons, customizable alarms, plus over 1000 Audible books for kids. 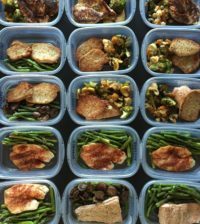 There’s also a parent dashboard that allows you to set daily time limits, see what content your kids have accessed, and even use the speaker as a two-way intercom when you don’t feel like shouting up the stairs when it’s time for dinner. They retail for $70, but you can currently get $30 off if you buy two, making it $110 for a pair. When my 6 year old asked to buy an old Sony digital camcorder at Goodwill last summer, I said yes mostly because it was only $6.99, and didn’t expect him to do much with it. But it’s been one of his most played with “toys” ever! Yes, there are cameras made specifically for kids (the Vtech Kiddiezoom is probably the most popular), but compact digital video cameras have gotten so inexpensive, you might as well get your kid something that can capture quality videos/images. 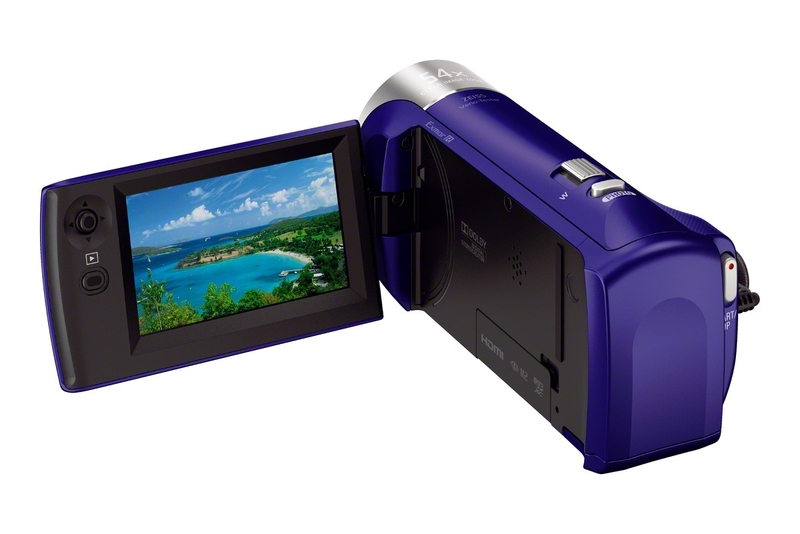 The Sony Handycam HDRCX240/L 1080p Digital Video Camera is currently around $120 refurbished from Amazon, but you should be able to find even cheaper models on eBay, or if you don’t mind used, Craigslist. Not only do kids love playing around with a video camera, you’ll be surprised how entertaining and fun the footage they end up with is! 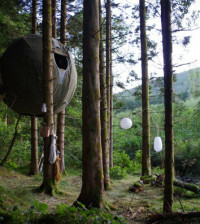 Having the world documented from their point of view will be well worth the price of the camera. 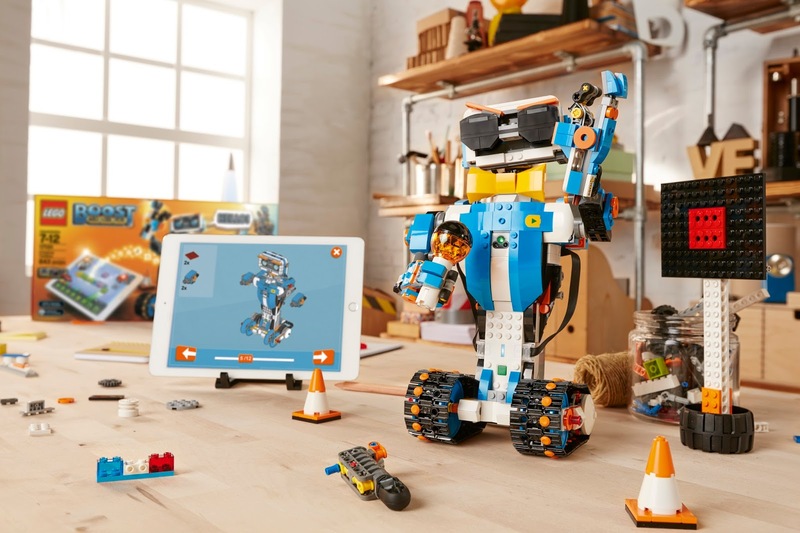 With their LEGO Boost Creative Toolbox Building and Coding Kit, LEGO is branching out from their popular Mindstorms robotics line, and has made a tech/building combo toy that is more accessible, and much less expensive. While Mindstorms has a focus on the coding and programming side of robots, LEGO Boost looks like it’s mostly about the building. It also costs almost $200 less! With LEGO Boost, kids (7 to 12) can build multiple robots, and use the “LEGO Move Hub” and an app to make them come to life. The kit is compatible with regular old LEGO pieces, so there’s the option to really get creative and make the robots their own. 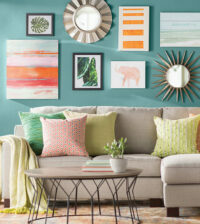 Now in it’s second holiday season, you might be able to find it for under $100 by the time Christmas rolls around. Nintendo is having a good couple of years! The Switch has really taken off, and one of the cooler concepts to come out in the wave of new game releases is their Nintendo Labo crafting/gaming hybrid. Kids can make physical projects, then “bring them to life” on the screen. 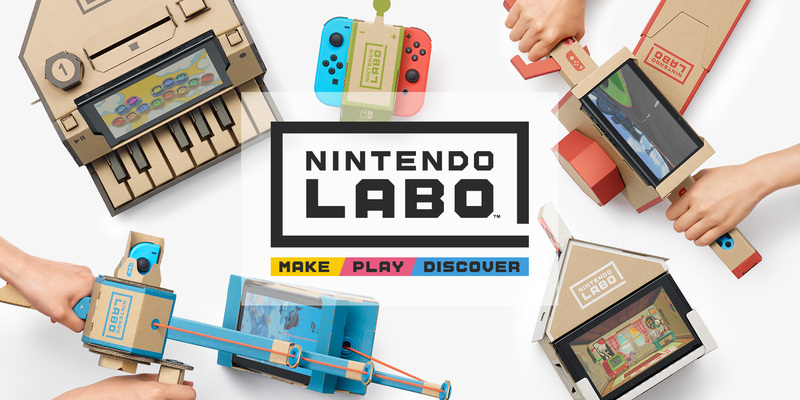 The popular Nintendo Labo Variety Kit has everything needed to create two RC cars, a fishing rod, a house, a motorbike, and a piano. You can even use the motorbike in Mario Kart 8 Deluxe! 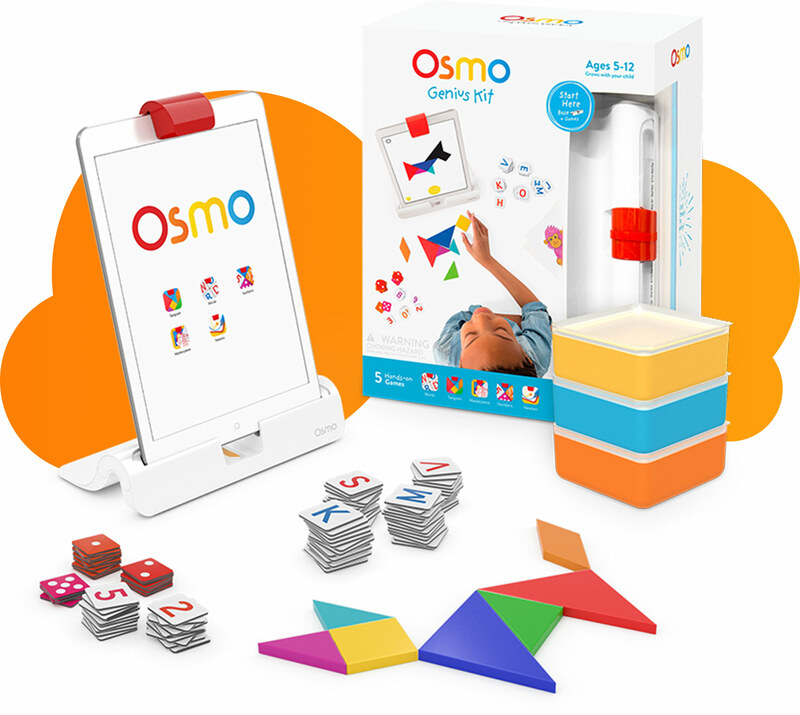 If you don’t want to get your child their own “kids’ tablet”, the Osmo Genius Starter Kit will turn your existing iPad into a hands-on learning device. This highly rated set includes five games that teach math, spelling, visual thinking, problem solving, and creative drawing skills through a unique mix of on-screen tech and physical pieces. Perhaps the best part is that this kit is designed to grow with your child, adjusting to their skill level through the age of 5 all the way up to 12. Once you have the Starter Kit, there are tons of additional games you can purchase, like the newly released Osmo Super Studio Incredibles 2 Drawing Game ($20). I don’t know if this one really qualifies as a “tech toy”, but I’m including it anyway because I think it looks really interesting. 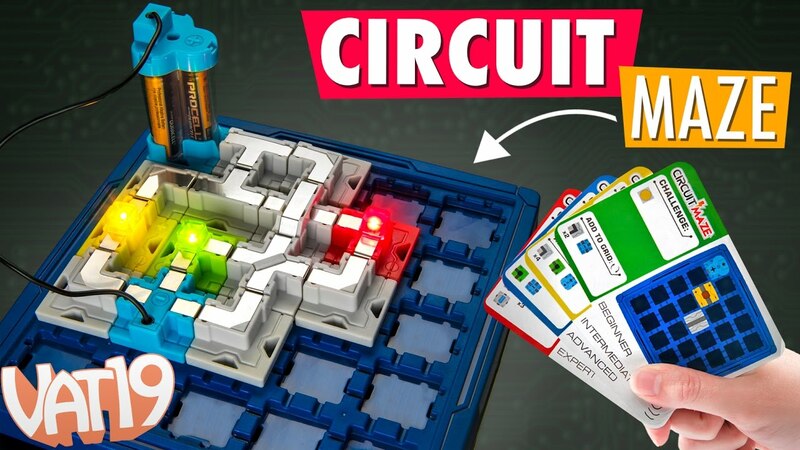 Circuit Maze Board Game has budding electrical engineers (8 years old and up) arranging tokens to create real circuits and win challenges. Looks a lot like the popular Snap Circuits toys, but in game form. Reviews are mostly positive, and the price is very affordable compared to a lot of STEM toys out there.